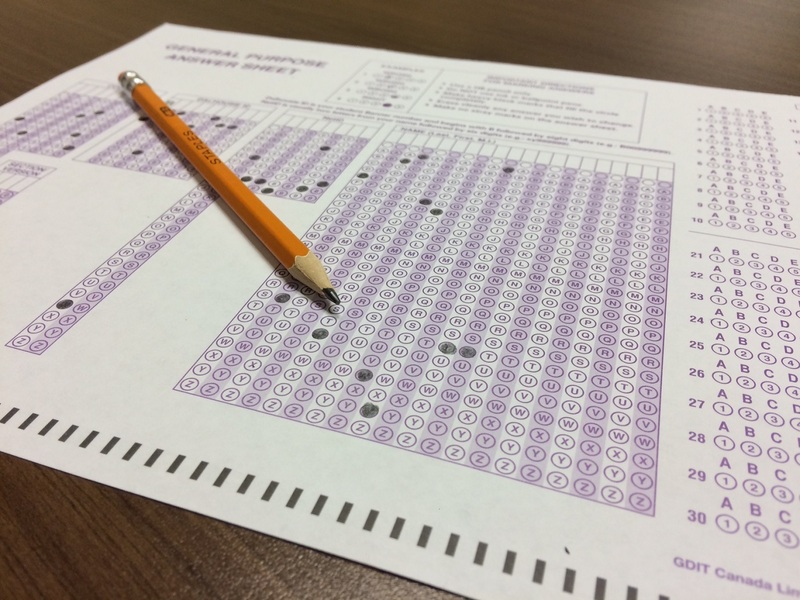 Effective immediately, the blue 5-answer general purpose student response sheet (bubble sheet) is being replaced by an updated purple 5-answer general purpose response sheet. The updated purple sheet contains all of the same information fields as the blue response sheet, with the exception of an added field for the student’s NetID and the “Identification Number” field has been updated to read “Dalhousie ID”. Similar to the blue sheet, the purple sheet contains fields for 200 questions. Instructors are welcome to use up remaining blue sheets in conjunction with the purple sheets in situations where their blue sheet supply is less than the number of students writing an exam. Please be sure to submit a separate key for each colour of response sheet being used. The price and quantity remain unchanged as they are priced at $60.00 per package of 500 sheets. Please use the revised requisition form for the submission of exams for scanning and processing. For additional information, please visit dal.ca/printingservices. If you have any questions, please contact Printing Services at exam.scanning@dal.ca or (902) 494-6428. The Dalhousie University Paper Policy will help reduce our environmental footprint by promoting a more efficient use of paper and print devices. Contact us for expert advice on your next print project. The Print Centre can assist with your large format printing needs – ask us about foamcore mounting! An easy and accurate way to mark multiple choice exams. Contact Printing Services for assistance with all your document needs. We provide Dalhousie faculty, staff, and students with quality print-related services, fast turn-around time, and competitive prices. Printing Services offers a full range of services including black & white and colour printing, coursepack production, supplies, stationery, multiple choice exam scanning, and more. View all services.